Home of the Santorini tomato it would be rude not to try this local delicacy. Sweet cherry-sized tomatoes that are intensely red are fried in olive oil with pepper, onions, and herbs in a batter. They are usually served as a vegetarian appetizer. 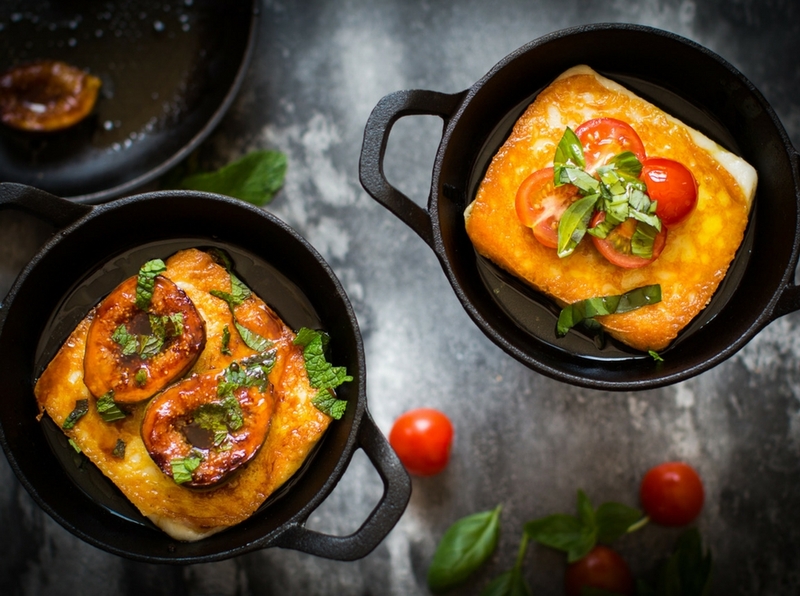 In Greek cuisine, Saganaki is any one of a variety of dishes prepared in a small frying pan, the best-known being an appetizer of fried cheese. The cheese used in cheese Saganaki is usually graviera, kefalograviera, halloumi, kasseri, kefalotyri, or sheep’s milk feta cheese. Eat it with the bread provided, usually pita bread, but sometimes other kinds. Cut off small pieces and put it with small pieces of bread. You can also skip the bread and eat the cut cheese pieces with a fork. Yum! 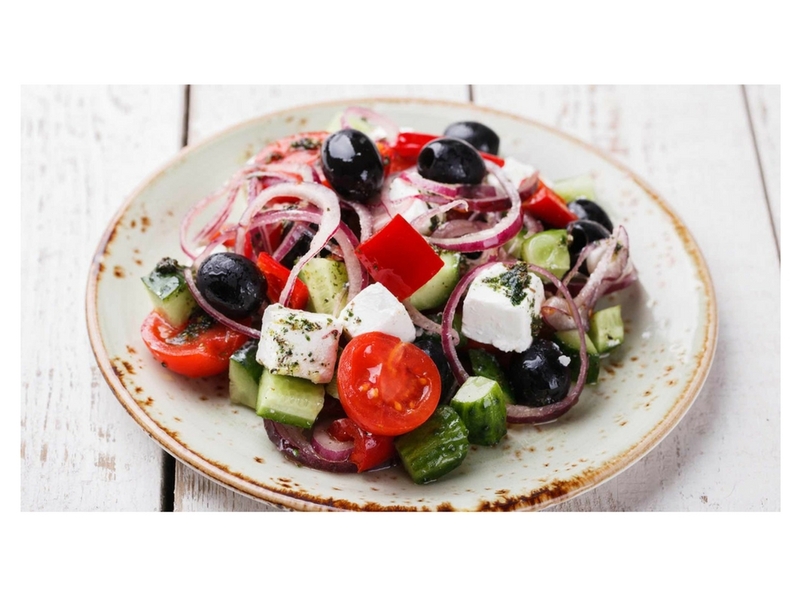 A Greek Salad in Greece is typically made with tomatoes, cucumbers, onion, feta cheese, kalamata olives, oregano and olive oil. They are often made with lettuce over here but that is not the traditional way. 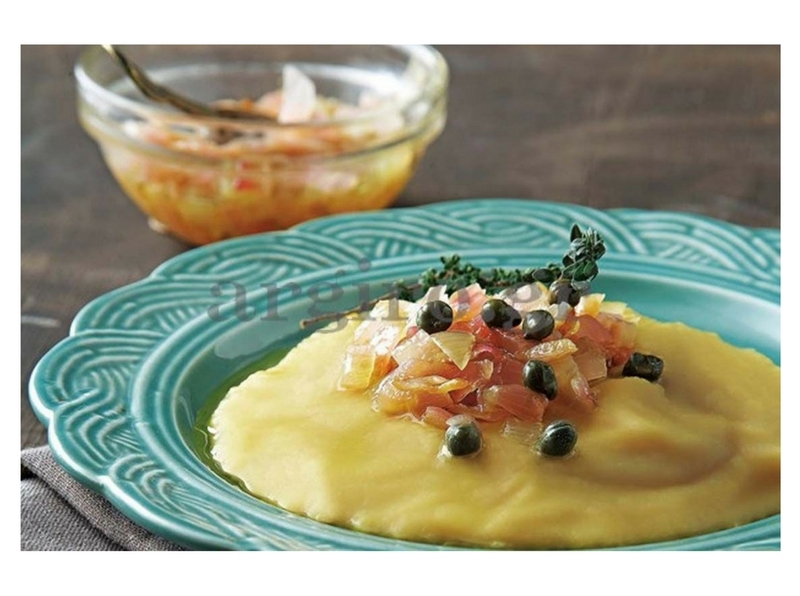 Often peppers and of course capers are added giving it a sharper taste. 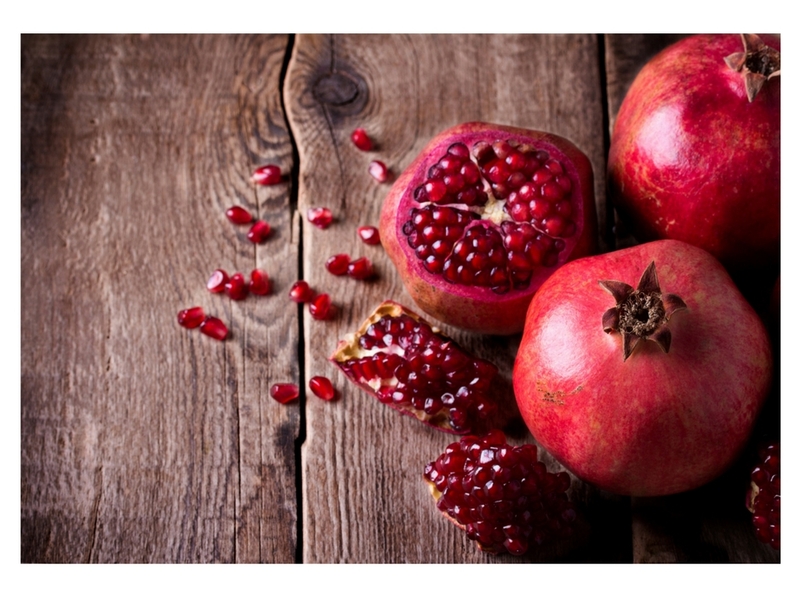 The Pomegranate is a symbol of good luck, abundance, youth and fertility since antiquity. This red coloured nutritious fruit has a wonderful taste and is part of a Greek New Year’s custom. Tradition has it that on the first day of the year a pomegranate must be broken on the door’s threshold for good luck. In Santorini, Pomegranates are often added to salads. 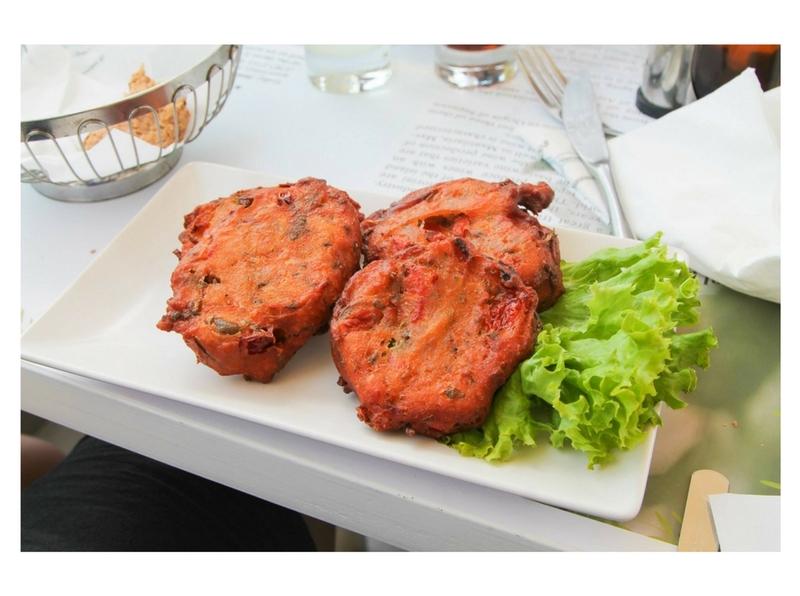 Probably the most famous traditional dish in Santorini, made from yellow split pea puree. Usually served warm with olive oil and lemon and occasionally topped with capers or onions. In Santorini, the plants are found virtually everywhere. 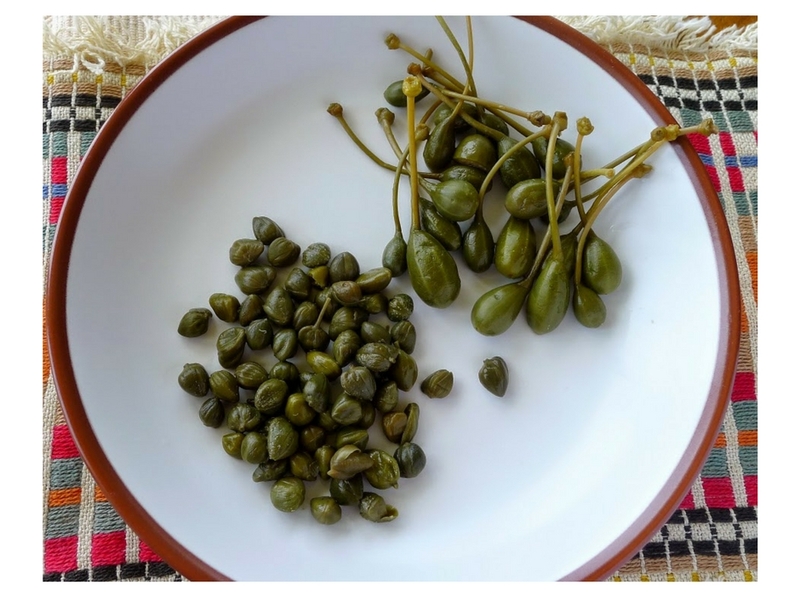 The unopened edible flower buds are picked and then sun-dried until they harden and turn slightly yellow. They are then rehydrated before use and are usually added to sauces or to spice up several dishes, including fava or even salads. Opened over 90 years ago Aktaion is a traditional Greek tavern run by the third generation of the family. 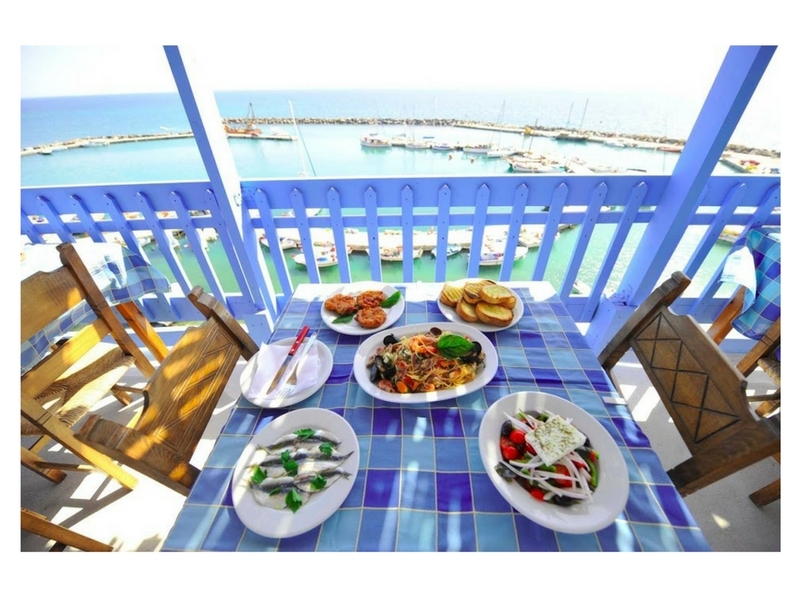 The menu is solely based on raw local ingredients with delicious dishes like zucchini pie, marinated anchovies with garlic, grilled and marinated mains or shrimps in basil pesto.